Guns N’ Roses have confirmed plans for a summer tour of North America. The band have issued a video announcement for the reunion, including a list of the 21 cities they’ll hit along the way, while bassist Duff McKagan has also tweeted the details. Further information regarding dates, venues and tickets will be announced soon. 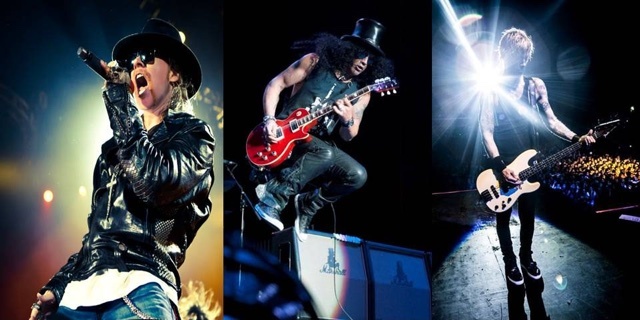 The partially reunited Guns N’ Roses will launch their 2016 dates with two sold-out shows in Las Vegas at the new T-Mobile Arena on April 8 & 9, before playing dates in Mexico City and at Coachella next month. To date, the group has only officially announced the involvement of McKagan, Axl Rose and Slash, while it is expected that guitarist Richard Fortus, keyboardist Dizzy Reed and drummer Frank Ferrer are also on board.